With so much political and economic uncertainty in the country currently, there’s a lot of talk of the effect that any decision will have on our economy. Apart from an occasional voting opportunity, we feel relatively powerless to effect any substantial change. We can campaign, protest and tweet all we like, but the sad fact is that each one of us represents approximately 0.0000015% of the UK’s population, so it’s unlikely our voice is going to resonate particularly loudly. One way you can help to boost the economy is by investing in small businesses. And we’d really encourage you to do so. Here’s why. I saw this note posted on Facebook by Port Douglas Hospitality just before Christmas and it really resonated with me. Large stores are considerably less bothered by your custom than small ones. They attempt to sweep up customers in the masses through advertising campaigns, promotions and other expensive techniques, but don’t care much for the individual. A shop assistant in Tesco will generally show very little interest if you announce that you’re going to start shopping in Asda from now on. And that’s if you even speak with a shop assistant, when most places want you to scan your own items through a machine, so they can employ fewer staff. Ask yourself ‘when was the last time you went to your local butcher and was made to pay using an automated checkout’. By purchasing from large organisations you’re just another number, helping to line the pockets of the super wealthy. 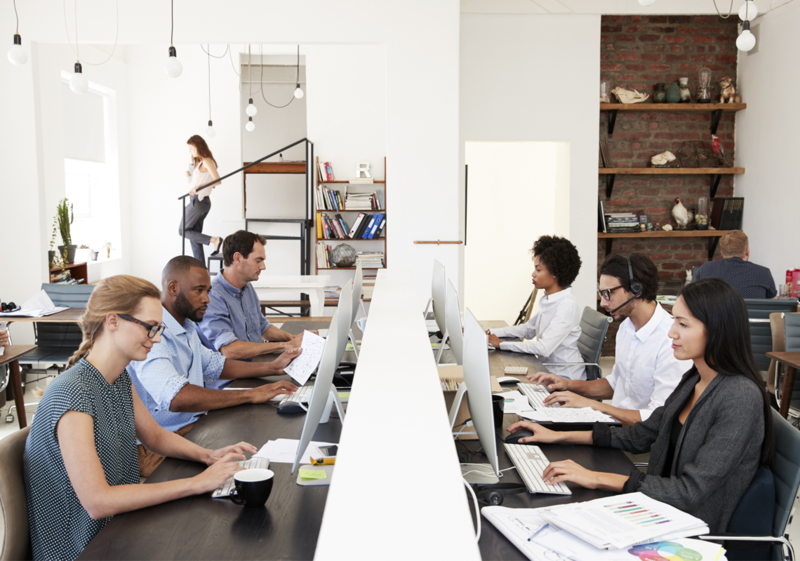 If you take your custom to smaller organisations you’ll be appreciated more, will receive a more personal service, and will make someone sincerely happy. 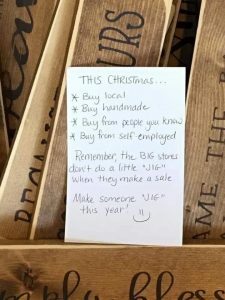 So, shop local, and with smaller businesses to help put a smile on someone’s face. Over 99% of the UK’s businesses are classified as small or medium according to the Telegraph, and generate around £1.6trillion in turnover per year. This accounts for 47% of turnover for the entire public sector in the UK. Small and medium businesses form the backbone of the UK, and if they don’t generate the customers, and therefore turnover they require to succeed, they’ll no longer be able to survive. As more businesses become unsustainable and close, the financial rug is pulled from beneath the feet of the UK, and we lose an enormous amount of revenue. The downside to the UK economy of losing even a small proportion of SMEs from our streets is huge, and will be felt by all of us. The truth of the matter is that when existing multi-millionaires launch their new exciting make up brand on Instagram, and convince us all that it has skin toning features that no other product has, the claims are nothing more than a powerful marketing tool. In reality, larger organisations regularly provide lower quality products or services than smaller ones. Partially because they care less about customer retention, and also partially because they are doing business in bulk, and have to develop automated and efficient systems, preservatives, source ingredients in mass, and don’t have the care and attention afforded it to each product by a skilled person. A makeup product from a local specialist company will be better quality than one that has come halfway across the world because it has been endorsed by a celebrity. Richard Branson is a huge advocate for encouraging small businesses to maintain quality, and says in several of his books that he won’t let his businesses get so big that quality or customer service suffers, and when they do, he splits them up into smaller subsidiaries. None of us desperately like paying tax, but ultimately that’s what funds our healthcare, roads, police, bin collections and many other things that come with being a UK citizen. So avoiding tax is hugely damaging to the UK. And let’s face it, bigger businesses don’t have a great reputation for being forthcoming with paying their taxes. To name (and shame) a few examples, Amazon’s UK Services company paid £4.6m on £72m of profit in 2017 – just 6.4%. In 2013, Starbucks made sales of £400m but paid no tax as they transferred money to a Dutch sister company under the banner of ‘royalty payments’. There are plenty of others who have been shamed too, Google, Vodafone and Apple have all come under scrutiny. This is generally because large companies, particularly multi-nationals who have operations overseas, are able to invest in clever schemes to avoid paying tax, such as setting up offshore or international operations. Smaller companies however are traditionally more honest and ethical in paying tax, because (to put it simply) there is less tax to pay so avoidance schemes aren’t worthwhile. Also, their accounts are simpler and more understandable to HMRC, making it more difficult to find loopholes or hiding places to section away profit and avoid paying tax on it. Consequently, smaller companies provide a greater contribution to the economy via tax payments. Smaller businesses are more versatile and can react better and faster to changes in customer requirements. They can move premises easier, change their product more cost effectively, and arguably are closer to the customer so understand their needs better. For that reason, SMEs are at the heart of innovation in the UK. Driving forward new ideas, methods, and pioneering customer service. So next time you’re looking for a product or service, please try one of us smaller, more local organisations. You’ll be greeted with a smile, valued, and may just be pleasantly surprised by the service you receive.